FORT LAUDERDALE, Fla. — Thanks to the combined efforts of the Fort Lauderdale community and residents, nearly 54,100 children will soon experience the joy of Christmas. More than 32,650 shoebox gifts were collected at Hollywood Community Church alone. Another 21,450 were collected at Lake Worth Christian School in Boynton Beach. Residents packed empty shoeboxes with small items like toys, school supplies and hygiene items for Operation Christmas Child, a project of Samaritan’s Purse that sends gifts to children living in difficult situations around the world. Those who missed National Collection Week can still get involved through the Samaritan’s Purse website where they can virtually “pack” a shoebox, allowing anyone with a computer or mobile device to provide a tangible gift to a child a world away. At samaritanspurse.org/buildonline, visitors can select a child’s age and gender, shop through an online selection of culturally relevant gifts, and finish by uploading a photo and writing a note of encouragement to the child who will receive it. After the shoeboxes are packed and sent by the Operation Christmas Child team, participants can discover where in the world their gifts will be delivered. It is a convenient yet meaningful way to join in a project that brings hope to children in need. The virtual-packing tool also offers participants the option to challenge friends to participate or the opportunity to share the gift of giving through a shoebox gift card. Since 1993, Operation Christmas Child has delivered gift-filled shoeboxes to more than 124 million children in more than 150 countries and territories. 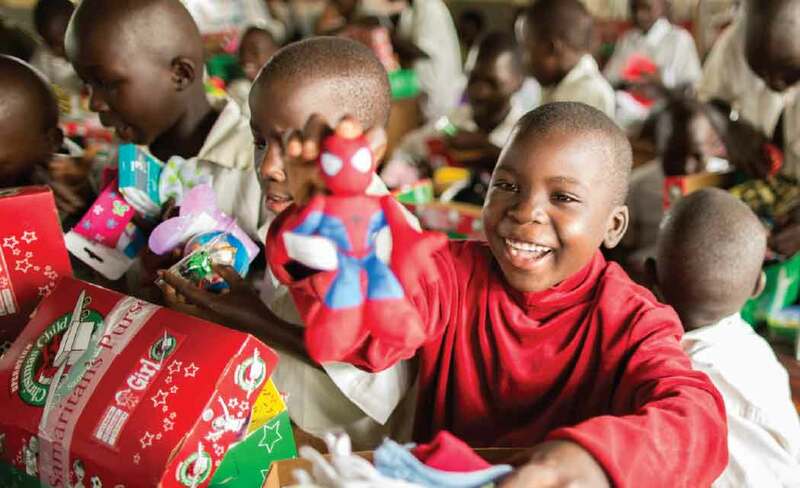 In 2015, Operation Christmas Child hopes to deliver gifts to another 11 million children. For more information on how to participate in Operation Christmas Child, call (407) 273-6112 or visit samaritanspurse.org/occ.